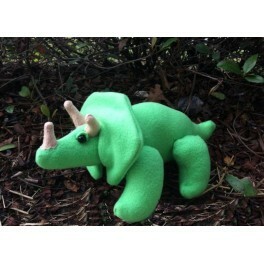 Meet Titus the Triceratops! Sure to stomp his way into the heart of any dino lover, Titus is made in the hoop but does require a significant amount of hand stitching for assembly. Oh, but he's so worth it!